Located just a short drive from cork city centre and cork airport, you can develop team skills, inspire ground-breaking strategy and entertain clients at our stunning coastal venue. 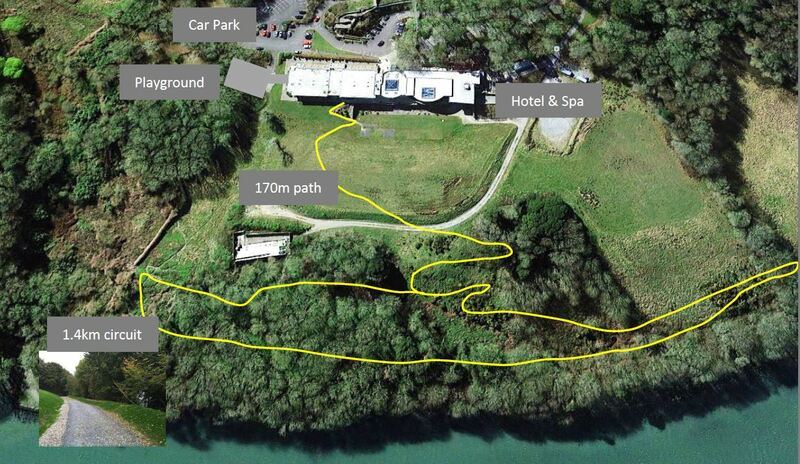 Kinsale Hotel & Spa, set on 90 acres of mature wooded parkland and with stunning panoramic views, is one of the most sought after conference and event venues in the South of Ireland. The beautiful Rathmore Suite, overlooking Oysterhaven Bay, can seat up to 260 guests for a gala dinner and 300 delegates for a conference. In addition, we have two meeting rooms that are ideal for a board meeting, training session, breakout room, private dining or as a dedicated office for your event. Our main event suite and meeting rooms come with audio-visual equipment as standard and free and unlimited WiFi is available throughout the hotel. We’re also surrounded by acres of beautiful grounds and you’ll feel as if you’re in the middle of nowhere, yet only a short drive from Cork, main motorway routes, train station and airport. Our grounds are great for team building activities which perfectly complement any conference, incentive, event or meeting. From the moment you get in touch with our dedicated events specialist, we’ll work closely with you to deliver your expectations within your budget. Our team can offer expertise in all areas of event planning and theming including full business support, AV assistance and courier services. Whether a large or small meeting, we offer a personal experience and everything you need to ensure the most distraction free and productive use of your delegate’s time. From our flexible event suite with free and unlimited WiFi to wholesome lunch options to revive tired minds and re-energise delegates. For incentives, our hotel is located in an impressive destination with a stunning backdrop that is perfect for recognising excellence or as a reward for increased productivity in your team or company. Attendees can take time to reflect on their successes whilst enjoying the activities and attractions that the hotel and local area has to offer. We have the expertise to make their time truly personal and memorable. Our friendly, personal service and executive accommodation will ensure that your conference or business event is executed elegantly and to the highest professional standard. Once business is done, retire to our restaurant to dine on the finest local and Irish produce. Here at the Kinsale Hotel & Spa, we pride ourselves on making business a pleasure.